Vinyl Stack ULTRA Sonic Spin Kit! 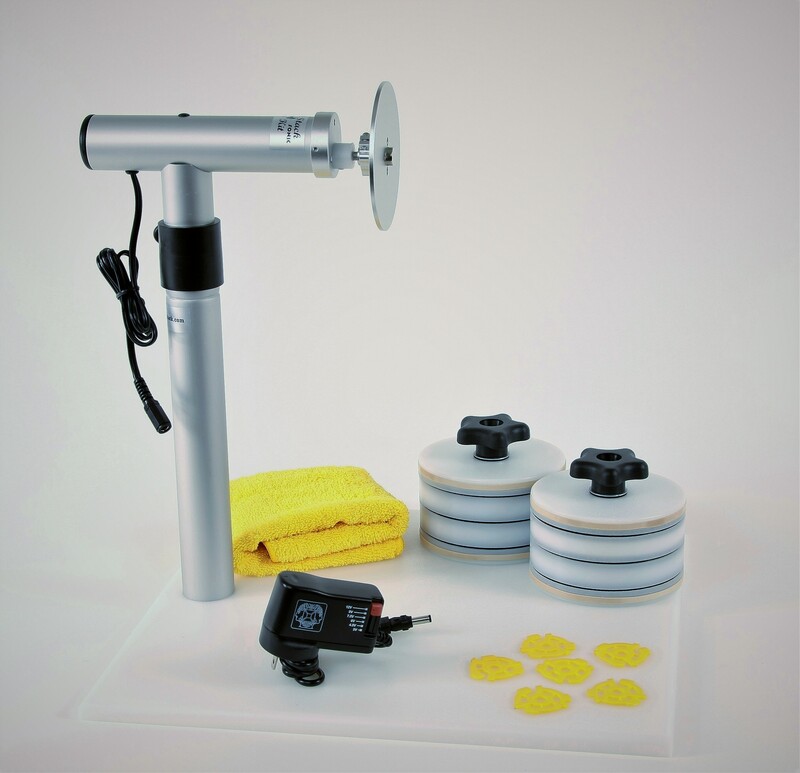 The Vinyl Stack ULTRA Sonic Spin Kit is a superior solution to cleaning multiple records without having to skewer them on a long, bulky BBQ style rod using a rotisserie motor to rotate them. Using our specially designed Sonic Stack Record Label Protector Units in conjunction with the motorized ULTRA Sonic Spin Unit and YOUR OWN Ultrasonic Cleaner (cleaner not included), your record labels stay dry and protected while cleaning up to 3 (or 4) records at a time! Our Sonic ‘3’ and ‘4’ Stacks provide close to 1″ spacing between your records which allows for better ultrasonic cleaning. It’s SIMPLE and EASY to use! International Customers may need an adapter plug to fit the wall outlet. We have a variety available for purchase under the “Ultrasonic Record Cleaning” tab, or click here to order. So now, isn’t it time for you to try ultrasonic cleaning for your records? 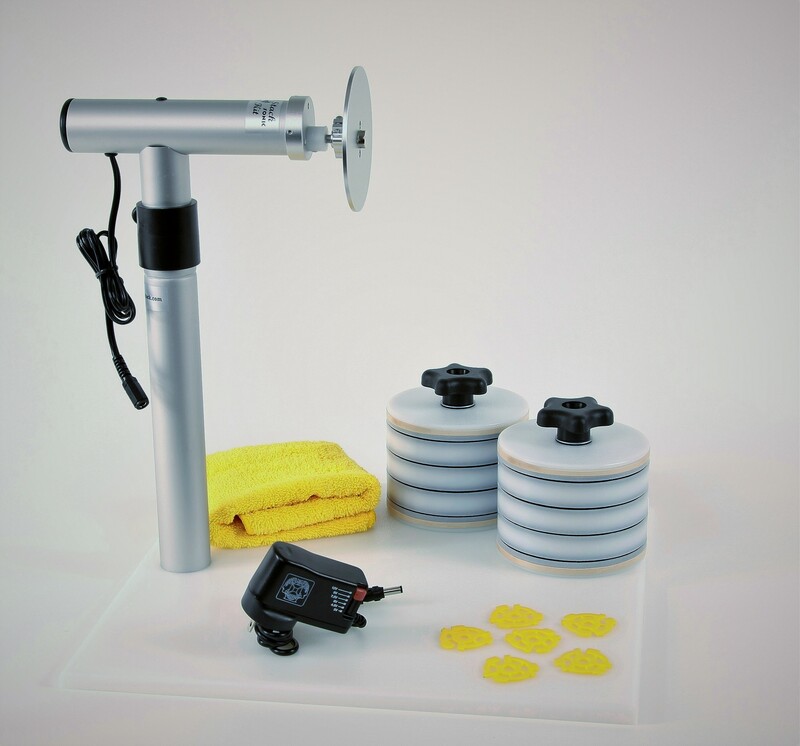 Purchase the Vinyl Stack ULTRA Sonic Spin Kit and get started today! This unit uses a neodymium magnet. The manufacturer warns that Pace-Makers or other bodily implants may be damaged in the presence of strong neodymium magnetic force. It is recommended to keep a minimum distance of 3 feet.